gathering and bonding over gourmet meals influenced by the family’s diverse heritage. 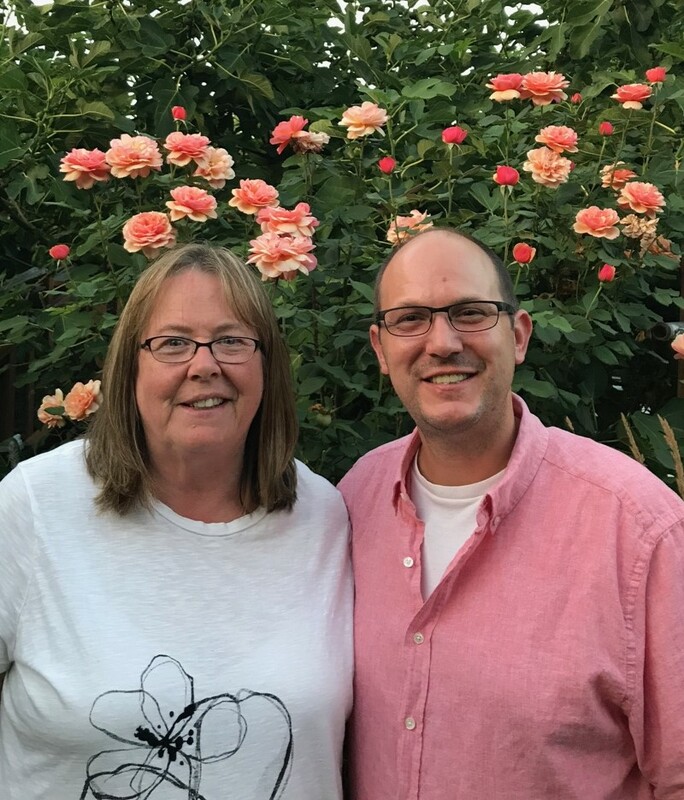 Paul will share secrets of his profession, while Jordis shares knowledge she has gleaned preparing her Master Gardener influenced harvests in delicious ways. Acres of plastic! Well, not quite an acre but a lot of ground! Getting our Community Demonstration Garden expansion going, a hearty crew rolled out plastic in August to solarize the soil. When we remove the plastic we’ll amend the soil with some compost (and maybe some lime). Then it will be time to think about plants! Woo-wee! 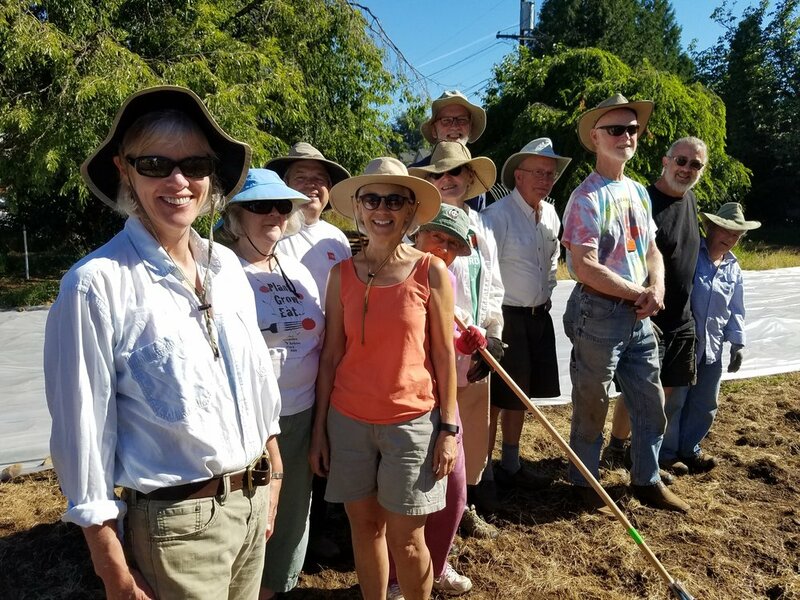 In the meantime, our main demo garden site is in high production with learning opportunities galore and large harvests of summer veggies which are donated to Lents Meals-on-Wheels and the SUN Programs at Kelly School and Lane Middle School. 9am to 12noon. Or come for the occasional Saturday morning harvest.